If you are someone who loves his work of carpentry, either as a professional or as an amateur, the one thing that you would definitely want in your creation would be accuracy and neatness. You would want the look and feel and the texture of your creations to be just perfect. Needless to say, this perfection comes using a few basic tools, the most essential one being the saw. Yes, to make cuts in that stock lying there near the wall, the humble saw is the tool that polishes it and gives a shape and figure to it. 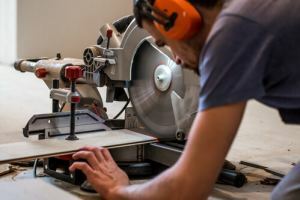 Saw needs to be handled with absolute care and precision to get the finest and neatest cuts. 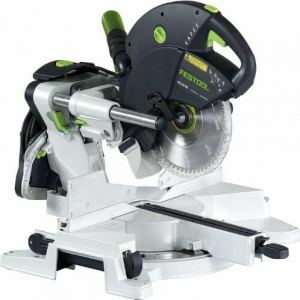 To be able to use a saw in the best possible manner, a solid support structure in the form a saw stand is absolutely essential. Not making use of one might lead to the saw flying out of your hand and reaching the wrong places thereby leading to unwanted accidents. Not to mention, the piece that you had been working on also gets distorted. 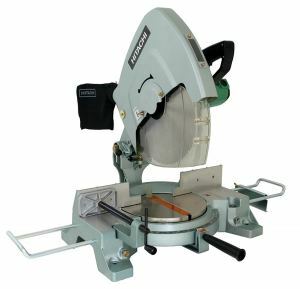 A dependable miter saw stand is a must have because it lends solid support to the saw. There are plenty of options available in the market but not all quite fit the mark of perfection. A distinct offer that has hit the market is Bosch T4B Gravity-Rise. This stand is technologically a very advanced construction. 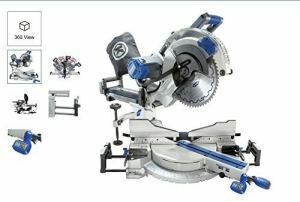 It is braced with rapid release tool mounts that fit most miter saws available in the market today. It has a patented gravity rise system which allows for quick set up and breakdown. 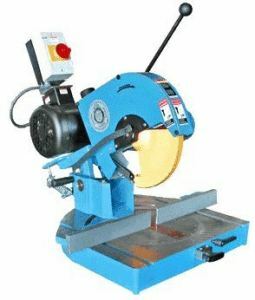 By simply turning the release lever and putting slight pressure downward, the balance and weight of the saw will raise the stand as well as the saw and lock it into your desired working position. Once you turn the same lever again to fold the saw and stand, you are ready to roll it smoothly to your next destination. 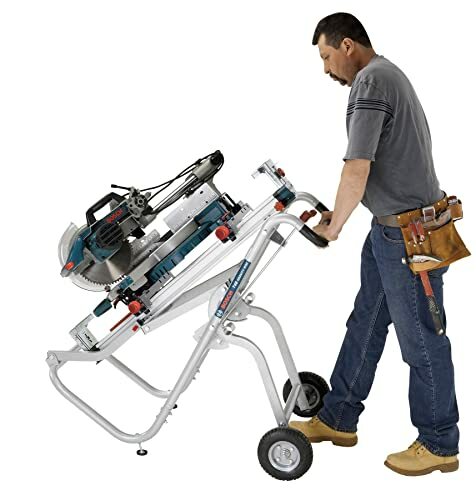 This T4B Gravity Rise Miter Saw Stand is made up of heavy duty, powder coated tubular steel. The pneumatic wheels of this stand allow for easy transport off the stand even in difficult terrains. This stand boasts of the highest capacity by far when compared to all other fully portable units available in the market. It features leveling rubber feet which are adjustable. They provide stability on uneven surfaces and therefore make working with a saw much easier and accurate. For those of you who deal with cutting long pieces of molding or are engaged in flooring, this kind of support is totally welcome. Repetitive stops that can be adjusted allow the stand to adapt to diverse saws and applications. Placing some kind of protective cover on the areas of the stand which come in contact with the floor while raising or lowering the stand would further add to the magnificent features of this equipment. What’s more interesting is that this product comes with a 1 year manufacturer warranty plus a 30 day money back guarantee. We are sure you would not need that because this product itself is such a marvel that we are sure you would not have any complaints once you receive it and start using it. 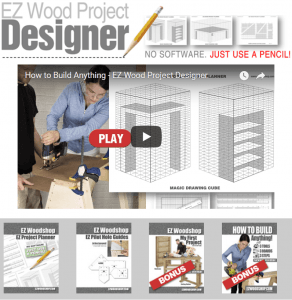 So, if you want an altogether new experience in carpentry and want to enjoy your work even more, this product is definitely your best bet. Wait no further and get one now.